'Learning on the go! Fun for play in any setting: homes, classrooms, childcare, and travel. 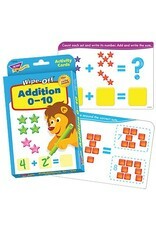 Card fronts introduce basic skills with hands-on practice for counting and adding sets of objects. 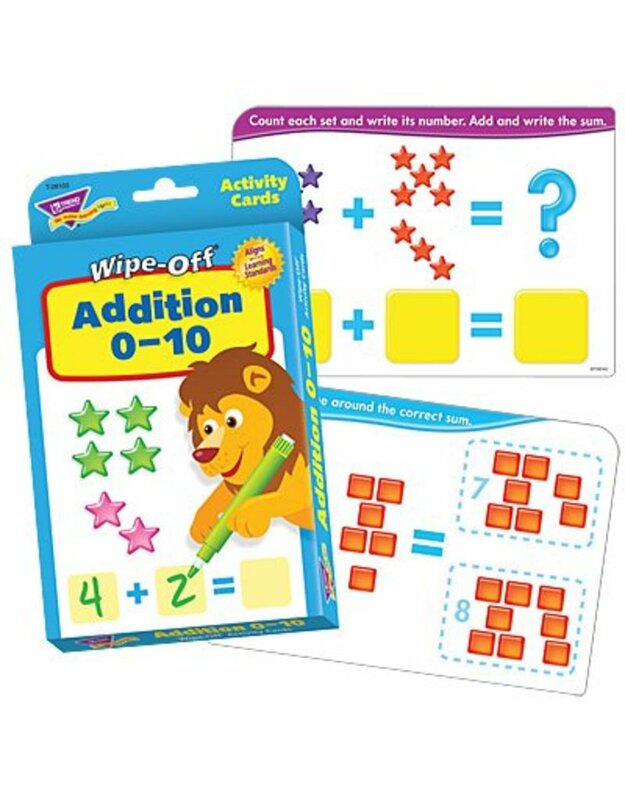 Card backs feature game-like activities for skills reinforcement and mastery including counting, finding sums, and printing numbers. Aligns with learning standards. Durable and reusable. Sturdy storage box. 32 two-sided cards; 4 1/2'' x 6 1/2''.